Get involved in your community and make a real difference to the lives of people on your doorstep. Community and voluntary organisations across Chelmsford can’t provide their vital services without your support. 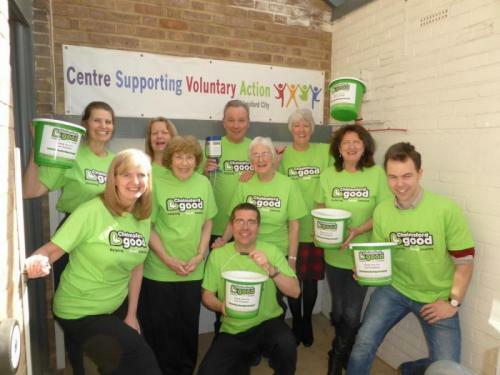 There are a huge variety of fundraising and volunteering opportunities across Chelmsford. From preparing a community group's garden ready for planting vegetables, litter picking, laying a new path leading to a community garden, through to taking part in a supermarket bag pack. You can become a valued part of our team for as little (one hour) and as regular as you like. Another reported: "Volunteering has helped me to develop new skills and improve my confidence through trying new things and meeting new people." How can you support Chelmsford 4 Good? If you'd like to support Chelmsford 4 Good by running a fundraising event or would like to know more get in touch with the team on Email: info@chelmsford4good.org.uk, Tel: 01245 280731.